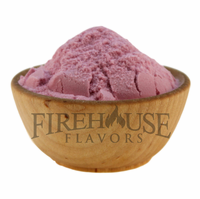 Product Details: Red wine vinegar powder is used to add moderate tartness to seasoning mixes, dry soup mixes, rubs, marinades, sauces, snack coatings, and salad dressings. Mix with salt to make a seasoning for homemade potato chips, French fries, tater tots, roasted potatoes, and steamed vegetables (especially broccoli). Light pink/purple in color. Shelf-stable; no refrigeration required; great for emergency food supplies, camping, RVing, boating, and hiking. Ingredients: corn maltodextrin, red wine vinegar. All natural ingredients. No GMO ingredients. Gluten free. Packaged in a facility that also handles wheat, milk, soy, egg, sesame, peanuts, and tree nuts. Nutrition Facts: Click here for data per 1/4 tsp. serving. Click here for data per 100 grams.